Our scans have produced some decent patterns the past few days but not much in the way of actionable setups for tomorrow. We did miss out on the $SVMK breakout, which was on our watchlist last week, but other than that it looks as though most charts could use another day or two (at the very least) of chop to produce more reliable entry points. 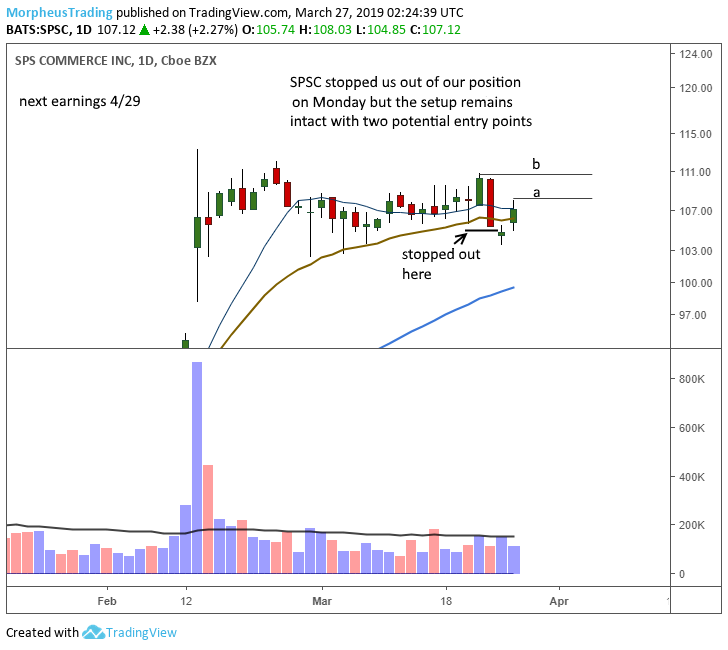 The model portfolio stopped out of $SPSC last week but the chart still looks pretty good and could produce a low-risk buy point within the next few days. If the price fails to take out Tuesday’s high tomorrow (Wednesday), then a move through the high at point (a) would be a valid entry on Thursday. If there isn’t much of a pause, then a move through last week’s high at (b) on volume would be in play. For many traders, re-entering a position they recently stopped out of may be difficult. For us it’s pretty simple. If the setup still looks good, then we will continue to monitor the price for an entry. If not, then it’s removed from the watchlist and we move on. 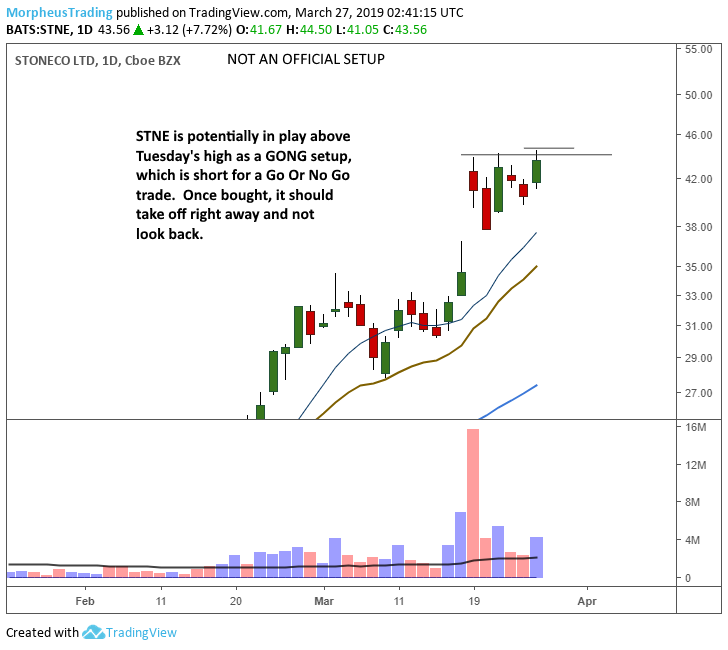 $STNE is a fast mover and is potentially in play for aggressive traders over the highs of the current range. This is what we refer to as a G.O.N.G. type of setup, which stands for Go Or No Go. It basically means that we expect the chart to move out right away and if it doesn’t we usually exit with a small loss due to a tight stop. $STNE is so volatile that a 10% stop is actually pretty tight.